Smoking is a great way to infuse a lovely Smokey flavour into your foods. A smoker simply manages both the smoke and the temperature, so you don’t have to. Add your Sydney firewood to your BBQ add your chips to your smoker – set your temperature and your smoker takes care of all the rest. When cooking ribs using cherry fruitwood will give your meat a nice mild but sweet flavour, that compliments the rub and barbeque sauce. Here are two quick and easy recipes using Cherrywood. 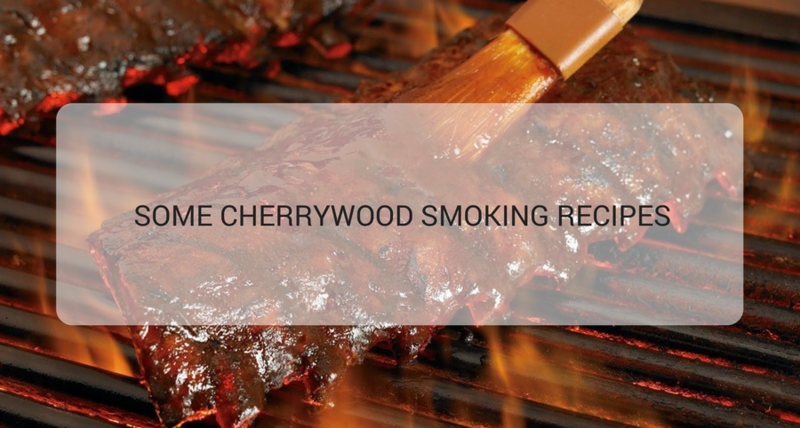 Remove the ribs from the fridge while preparing your smoker, fire up the grill using your Sydney firewood to 110C adding the cherry wood chunks when at temperature. Place the ribs in the smoker, meat side up, keep the bag of marinade.